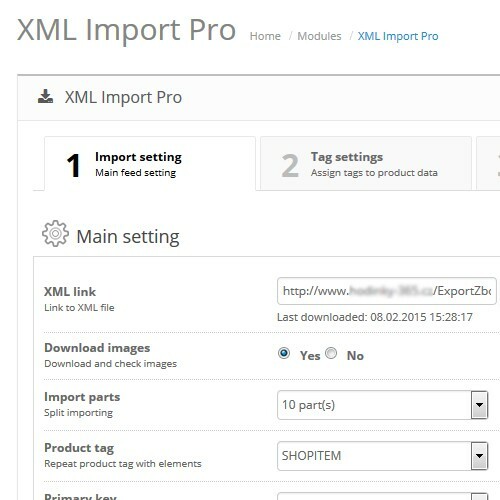 XML Import Pro is a professional module for importing products from arbitrarily structured XML files. 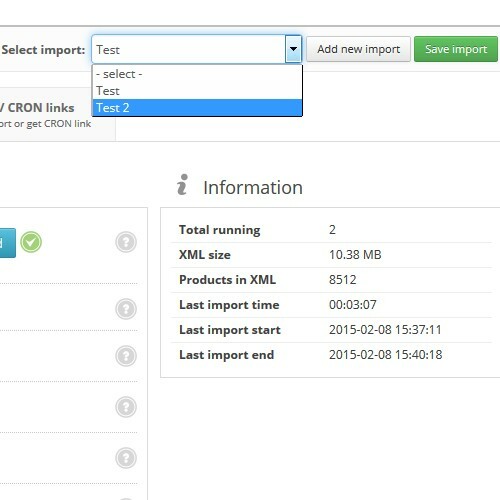 Setup and operation is intuitive and very easy. 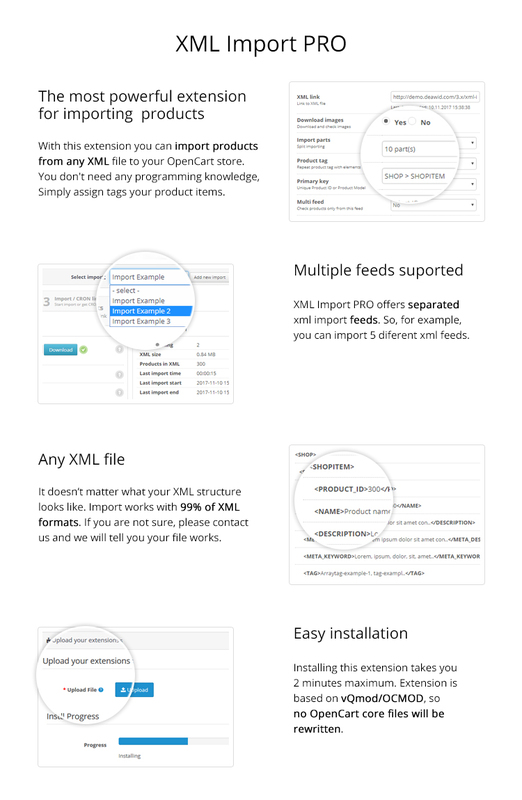 If you have more than one supplier, you can add more and more XML feeds. 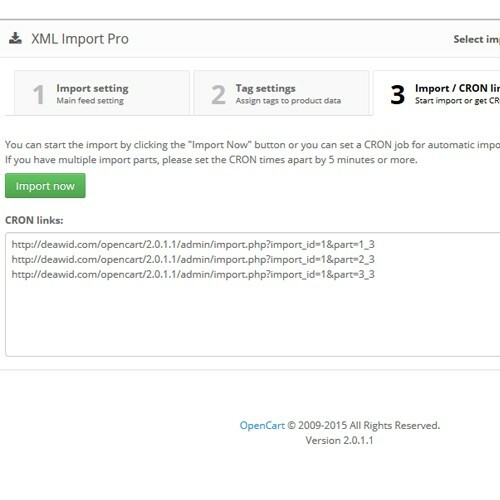 To Import products, of course, you can also set a CRON script. 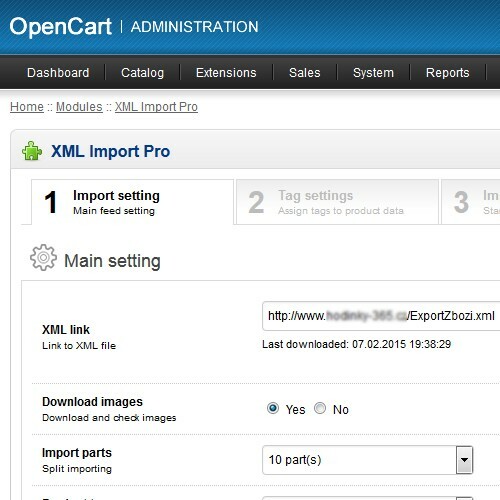 If you have a large XML file with many products, you can set "split" the import (1-10 parts) - this prevents shutdown of the import, if you have a weak server or small limits for running scripts. 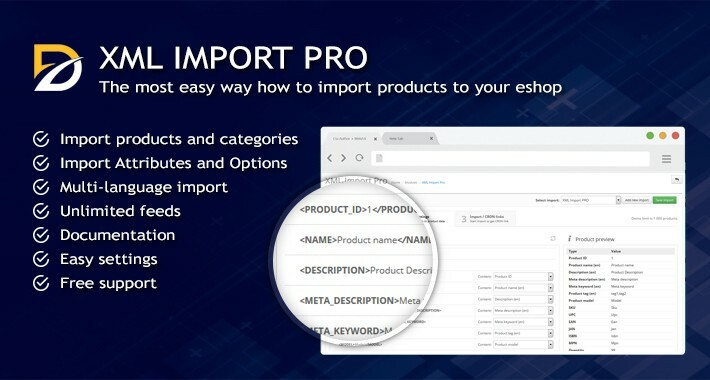 XML Import Pro includes the Update Products feature: - You can select which items you want to items that you wish to update. 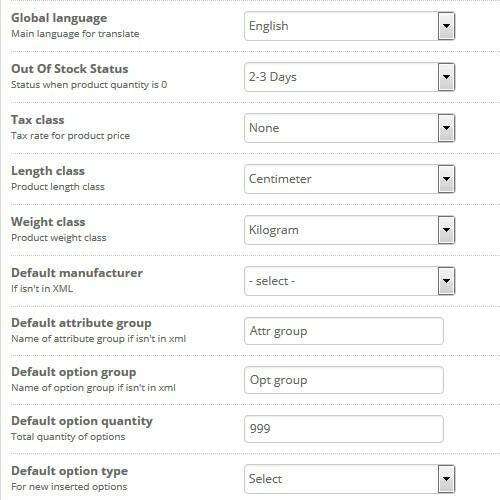 The module has multi-language support for products, category, attributes and option names. 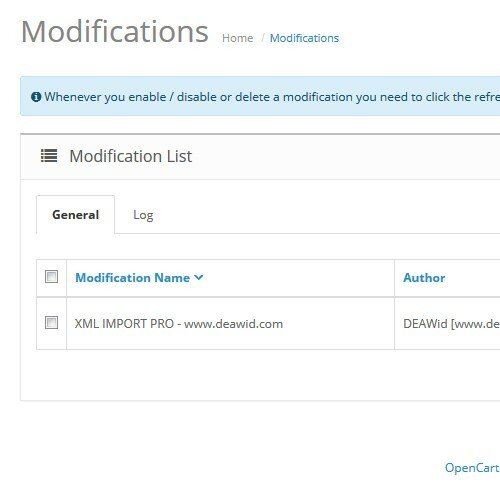 After import, new products can have status "Disabled" or quantity "zero"
For more complex XML structures we can provide a script to convert into processable file ($20 fee per hour). 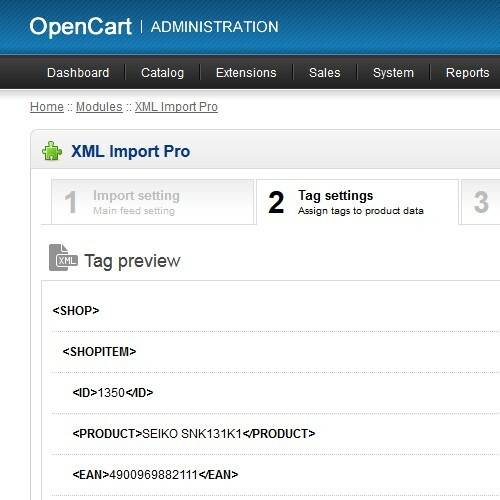 This is my second purchase of XML Importer. Absolutely a masterpiece of coding. Works like a charm. Support deserves also a 5-star. 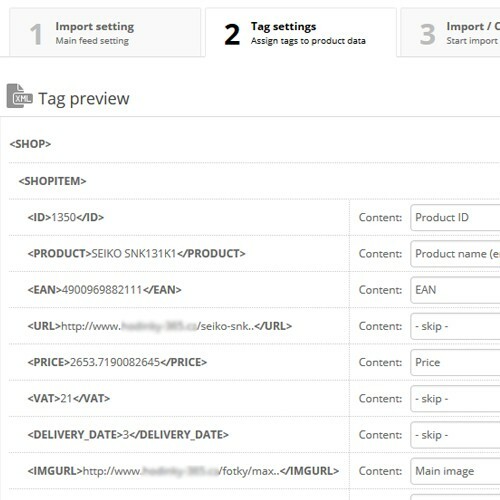 Had an issue with the XML Feed (local language). Deawid fixed it for me. Great Developer. After-sales service is excellent. 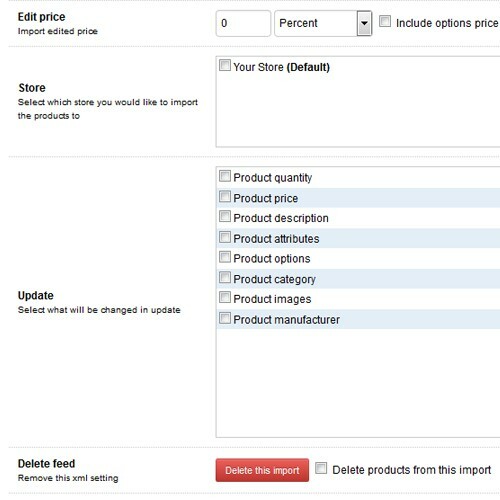 We had a smal post-sales problem and Deawid quickly solved it. Thank you! 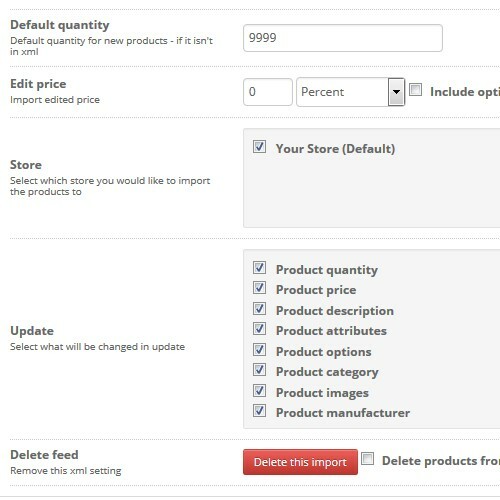 If you are looking for a good developer. You're in the right place. Thank you, deawid, I hope we'il work together another time. Thanks again!